Maldivians traditionally prepare for Ramadan by refurbishing and cleaning homes and organising pre-Ramadan meals called maahefun for relatives, friends, and work colleagues. After days of pre-fasting preparations, Maldivians woke up Wednesday to greet the holy month of Ramadan. The Islamic ministry announced Tuesday night that May 16 will be the first day of Ramadan as the new moon was predicted at dusk by “reliable astronomical calculations”. The sighting of the new moon marks the beginning of the Muslim lunar month, which lasts between 29 and 30 days. If the moon was not visible Tuesday (the 29th of Shaban), the month would have lasted 30 days. The first day of Ramadan would have been Thursday. The official announcement around 9:30 pm came as a surprise after speculation that the moonsighting was unlikely. Most Muslim countries, including Saudi Arabia, UAE, Malaysia and Indonesia, begin Ramadan on Thursday. Some countries declare Ramadan only if the moon is spotted with the naked eye. 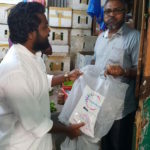 Maldivians traditionally prepare for Ramadan by refurbishing and cleaning homes, stocking up on food, and organising pre-Ramadan meals called maahefun for relatives, friends and work colleagues. On the eve of Ramadan, ‘Ramadan Mubarak’ and ‘Ramadan Kareem’ greetings are exchanged on social media platforms. As in previous years, government working hours have been reduced (10 am to 2 pm) and schools will begin late at 9 am. 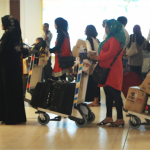 Muslim workers in the Maldives are also entitled to MVR3,000 (US$195) as a mandatory Ramadan bonus. Restaurants are closed during the day but some are authorised to discreetly serve food to tourists and expatriates. Cafés and restaurants stay open till 3 am and the closing hours of shops have been extended to 11 pm until the end of the Eid al-Fitr holidays, a week after the end of Ramadan. Several island councils meanwhile distribute gifts for Ramadan, such as canned tuna and dates. On the island of Ungoofaaru in Raa atoll, the council pledged to pay electricity bills of all households. Each household on Ukulhas will get a free cable TV package, courtesy of the island council. In the capital, employees of state-owned enterprises began cleaning mosques for Ramadan last weekend as the Islamic ministry announced its annual Ihya programmes of nightly meetings with religious talks and sermons. 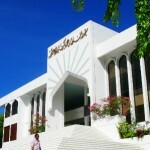 The first ever international Quran competition in the Maldives began on Monday in collaboration between the Centre for the Holy Quran, the Islamic affairs ministry and the state media corporation. The ministry has also organised a Quran recitation competition for college students and a religious knowledge competition for the last 15 days. Meanwhile, in anticipation of traffic congestion in Malé, police have announced that some roads will be closed to traffic and designated no-parking zones. Late afternoon motorbike rides around the island is a popular pastime during the month. A ban on daytime goods delivery has been relaxed and the waste management company has changed its garbage collection hours to between 8 pm and 12 am from households in the Greater Malé region. Ahead of Ramadan, both the state-owned Maldives Gas and private Villa Gas slashed prices by MVR50 from a 10kg cooking gas bottle. 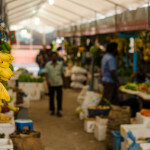 But prices at the local market in Malé are on the rise, according to local daily Mihaaru. 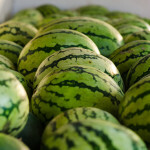 With heavy rains at the onset of the wet southwest monsoon damaging fields across the country, the price of watermelons has doubled to nearly MVR35 per kilo. Watermelon juice is the most popular Iftar drink for Maldivians. 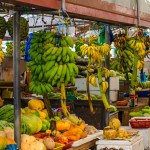 The price of bananas and chilli has also soared due to low supply of locally grown produce. 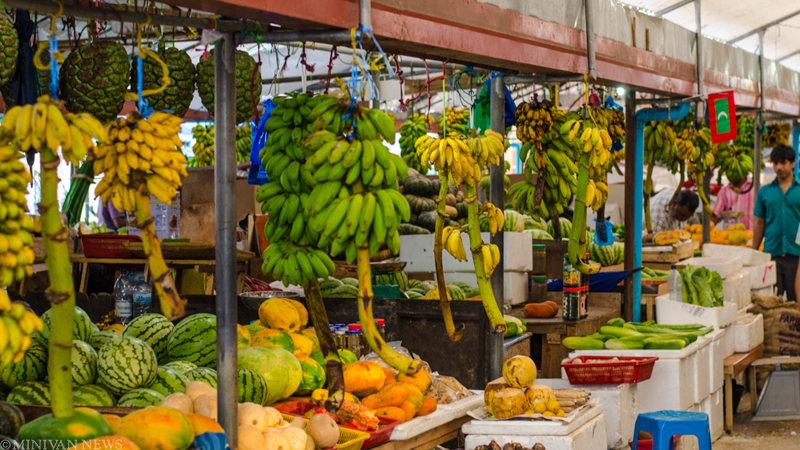 Other fruits and vegetables are more widely available but prices are slowly increasing, the newspaper reported. During Ramadan, all adult and able-bodied Muslims are enjoined to fast from dawn to dusk, abstain from bodily pleasures, and focus on self-reflection, prayer and charity. Fasting is one of the five pillars of the Islamic faith. Beginning the day praying for everyone jailed in Yameen's blistering prisons. Ramadan service hours: Saturday – Thursday, 10am – 3pm. Registration, payment of taxes and other fees, VISA Express: 10am – 2:30pm.